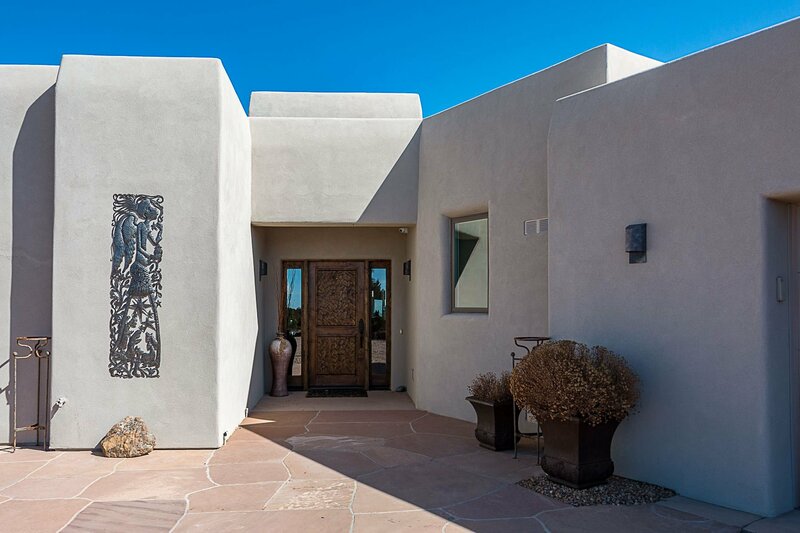 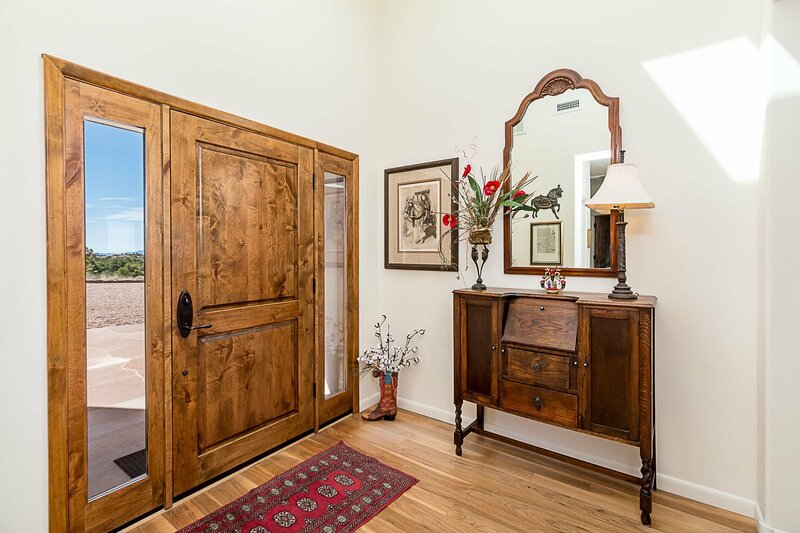 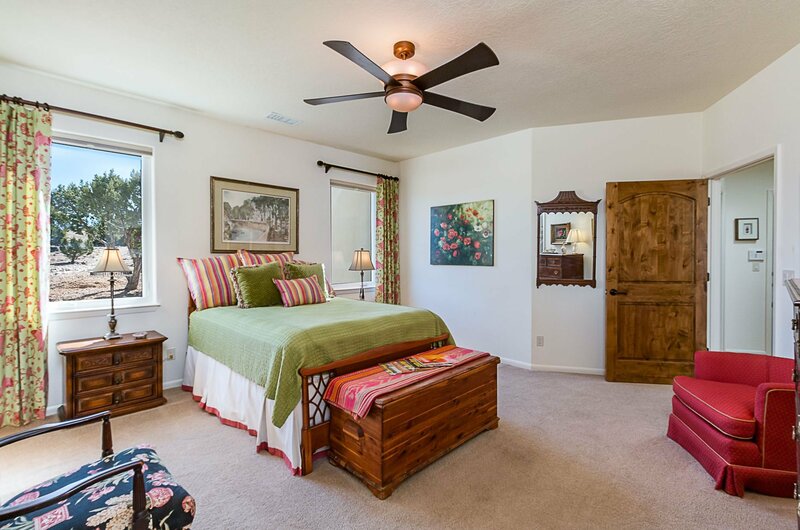 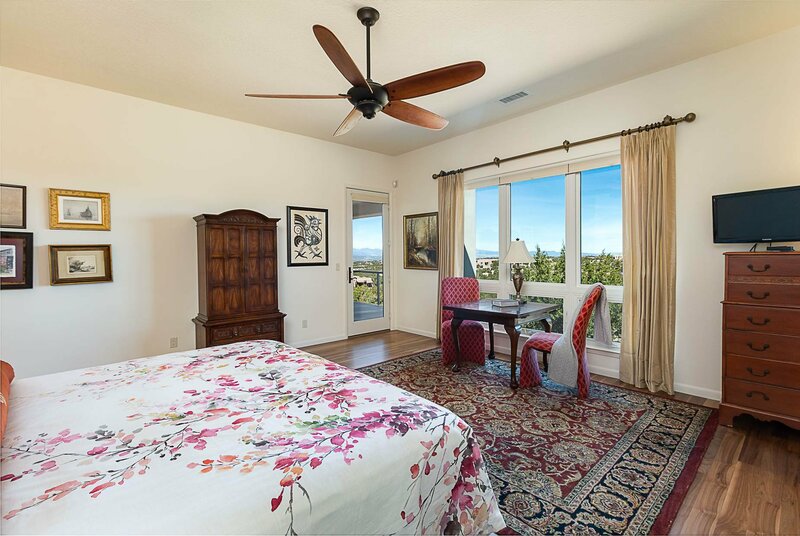 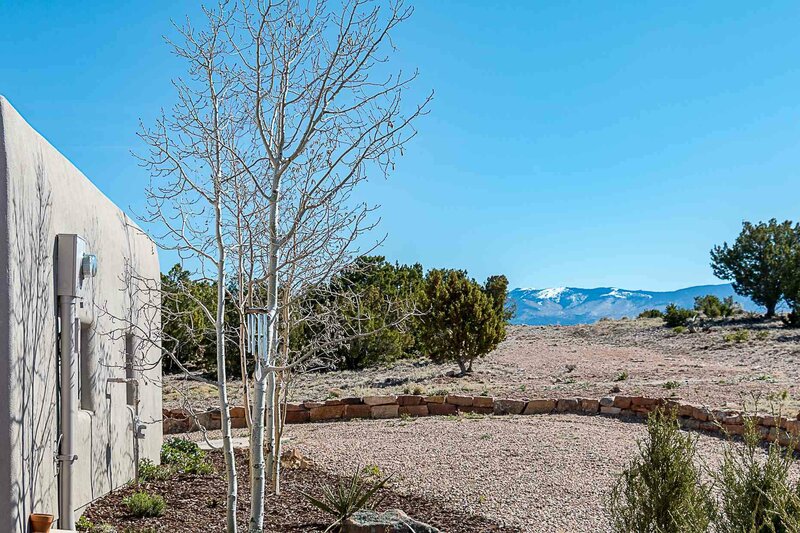 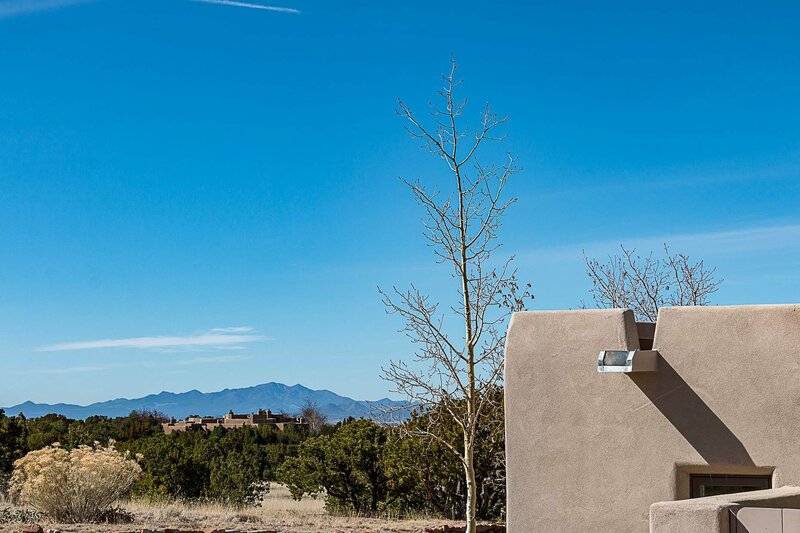 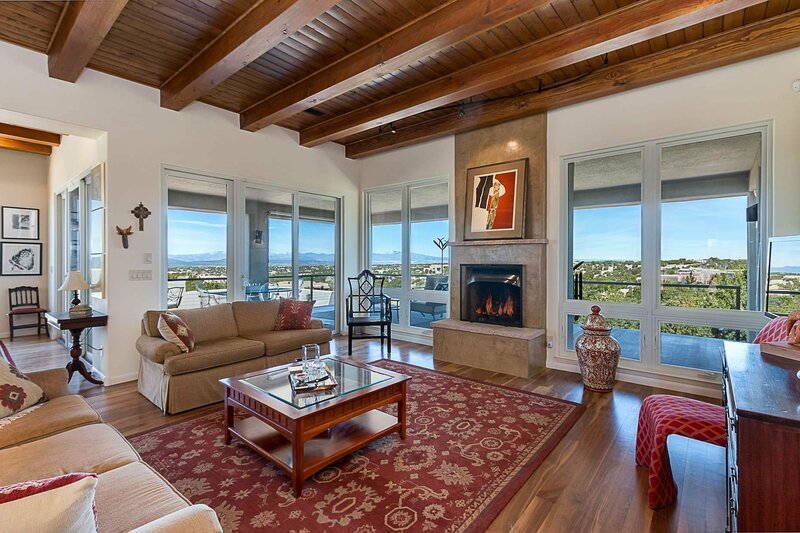 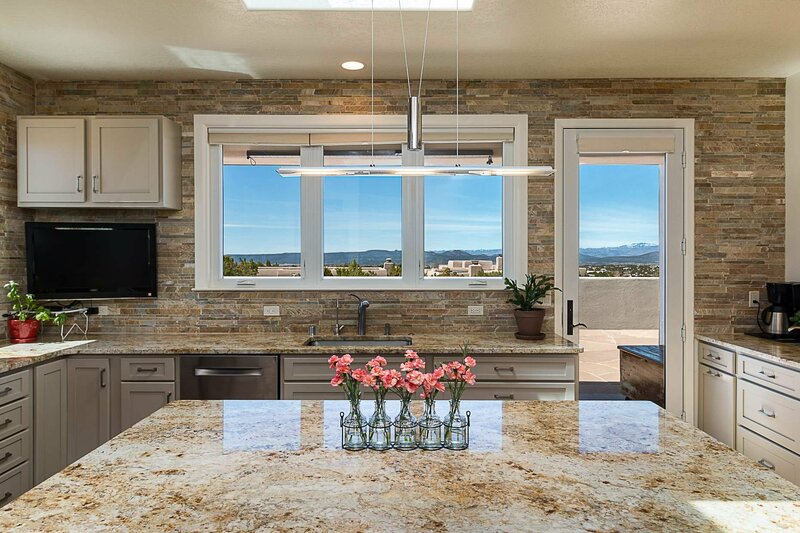 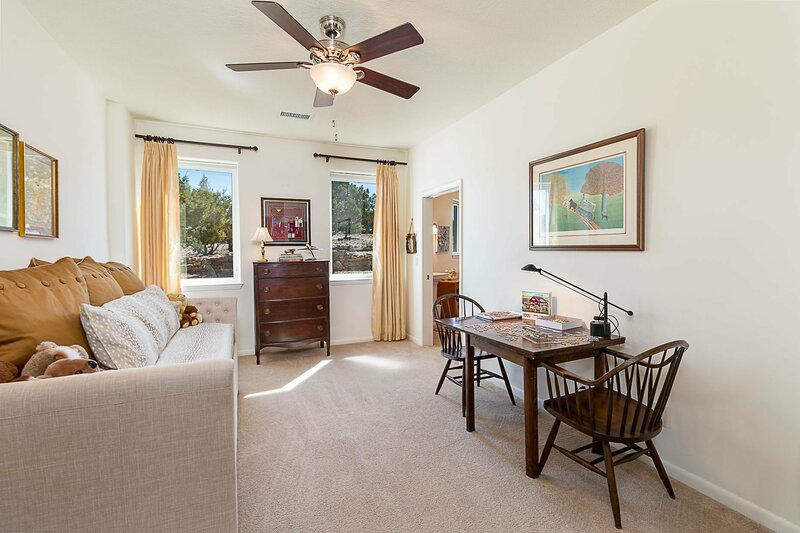 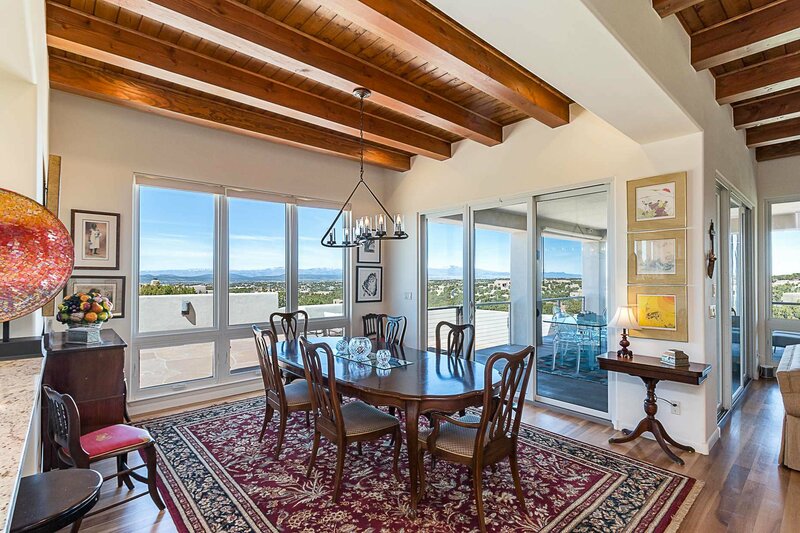 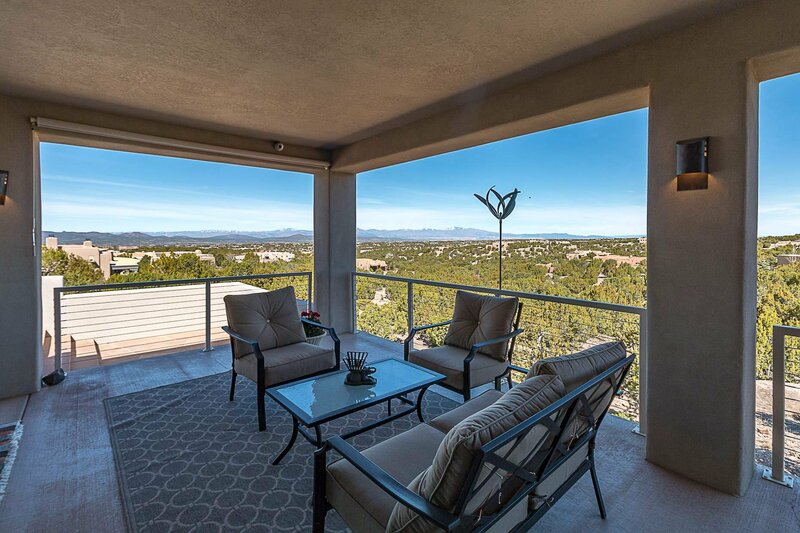 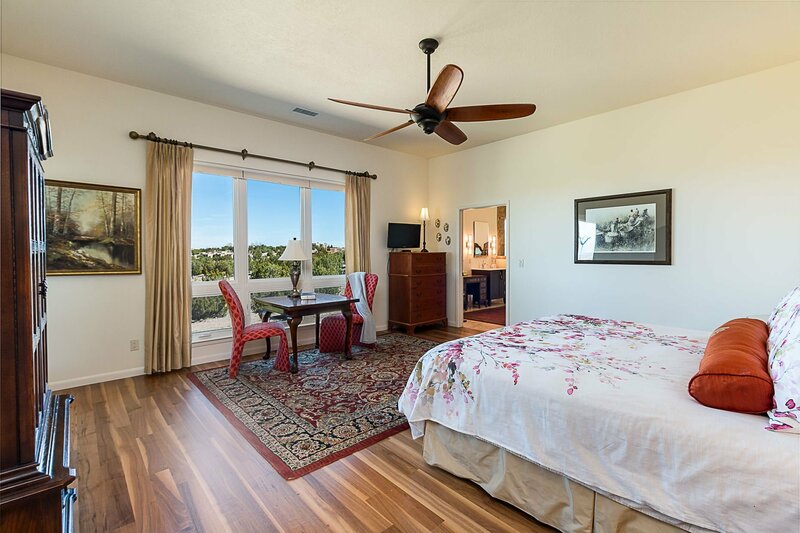 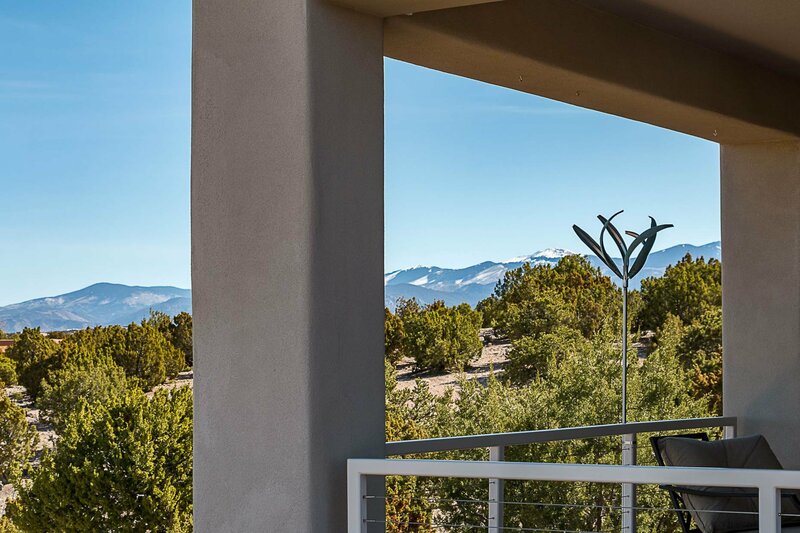 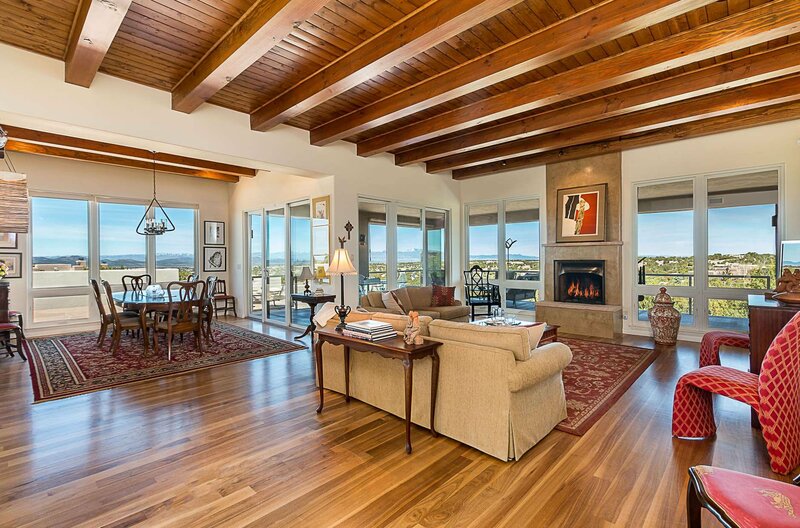 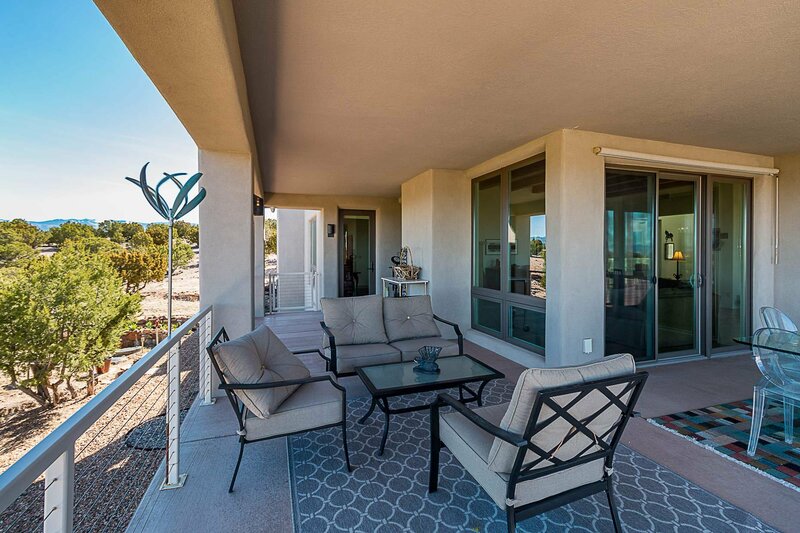 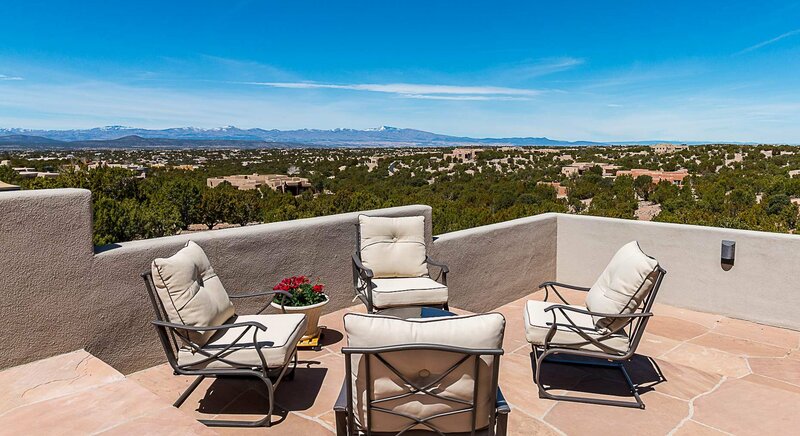 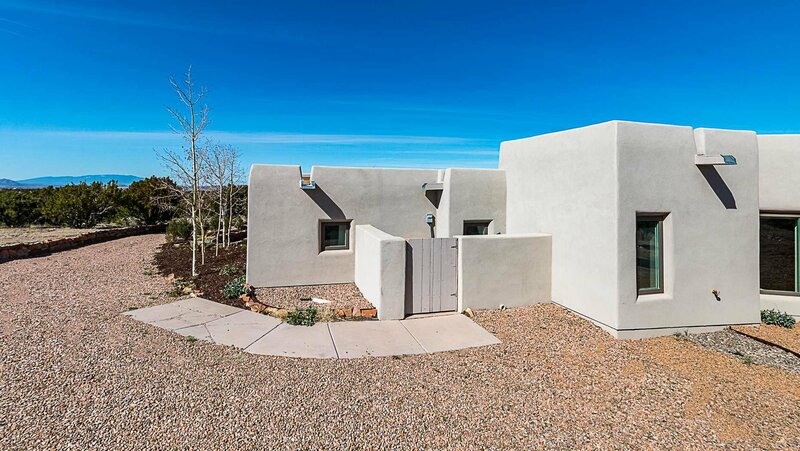 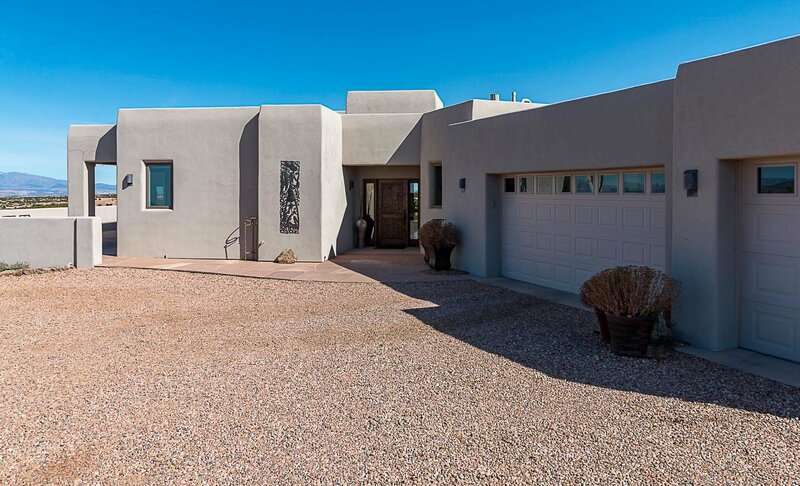 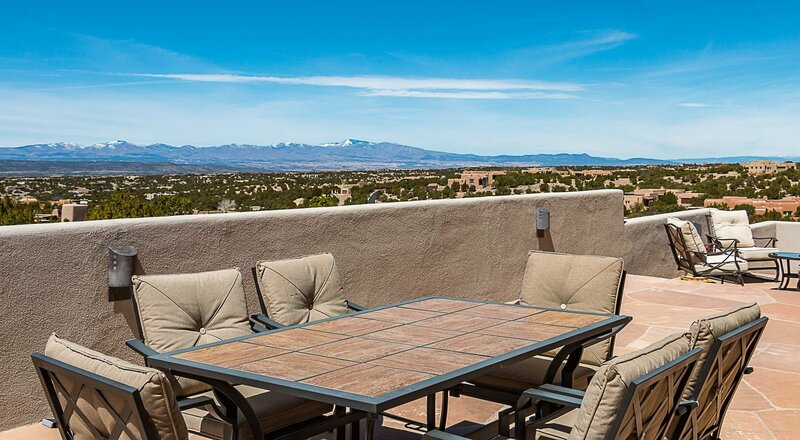 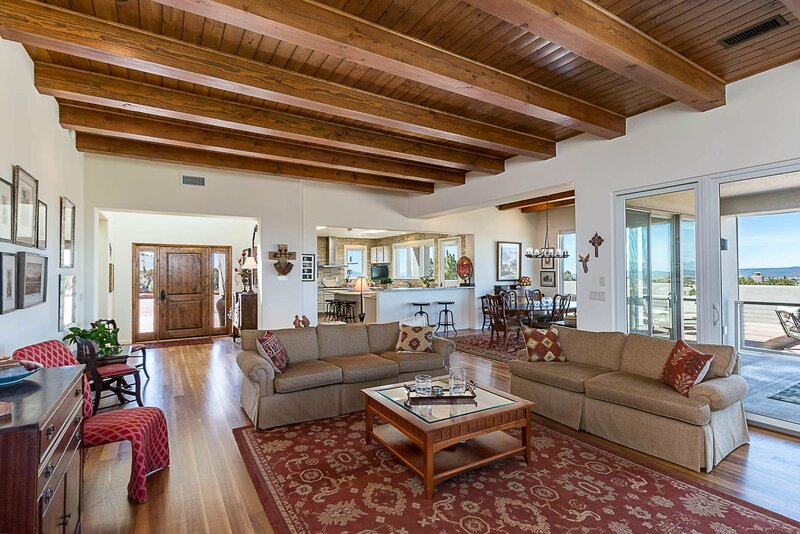 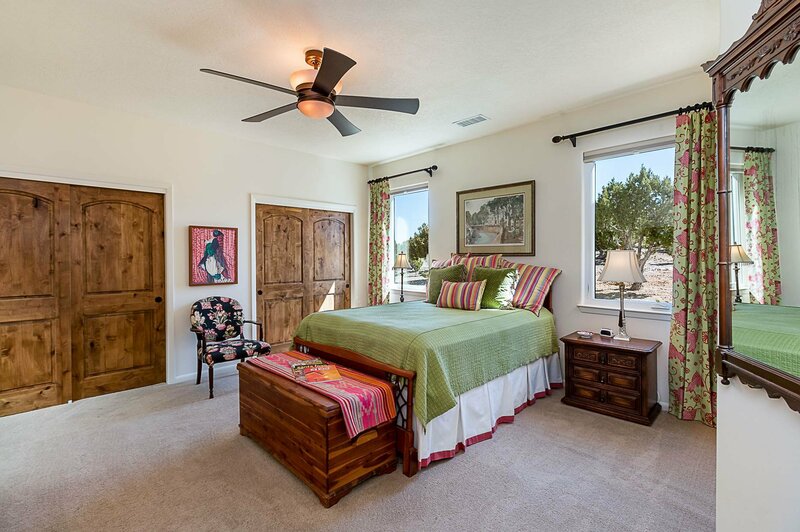 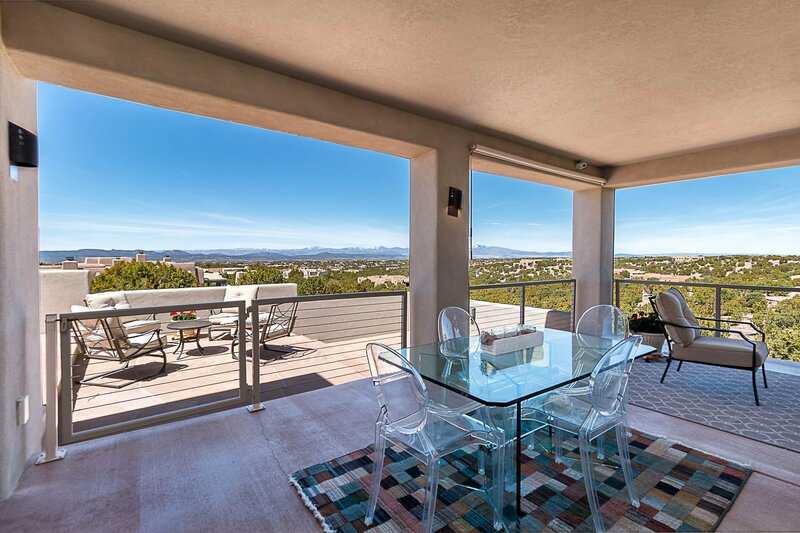 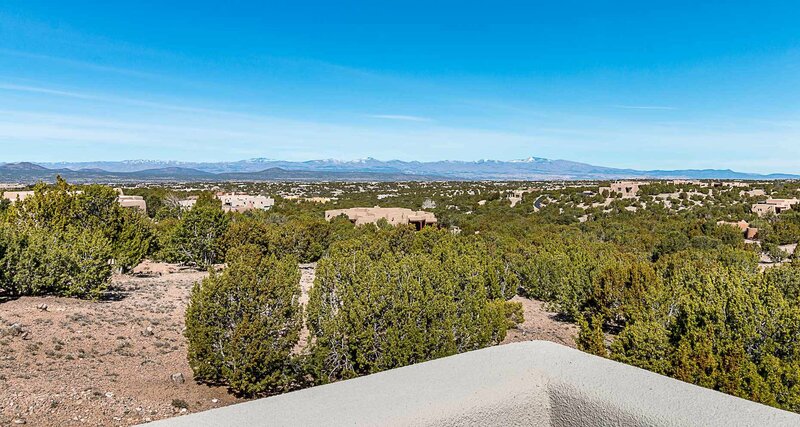 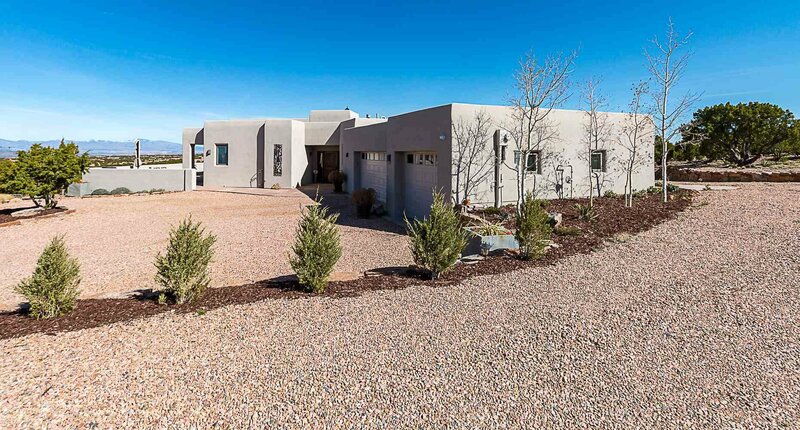 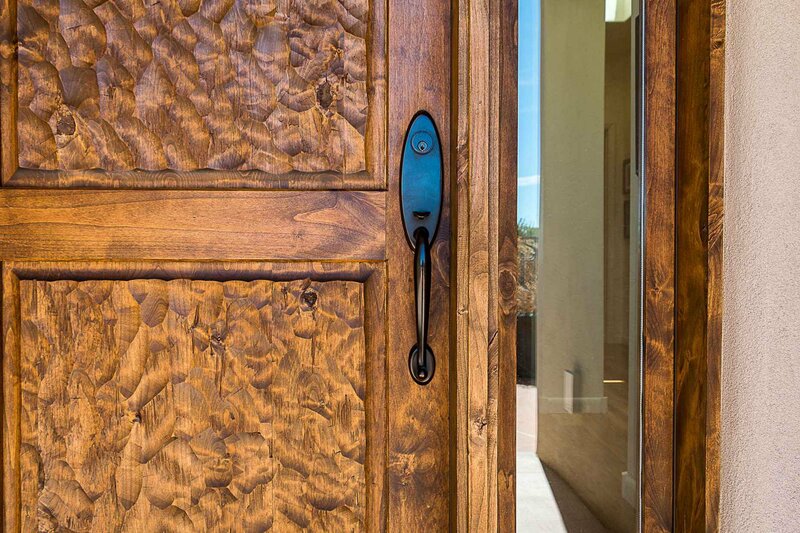 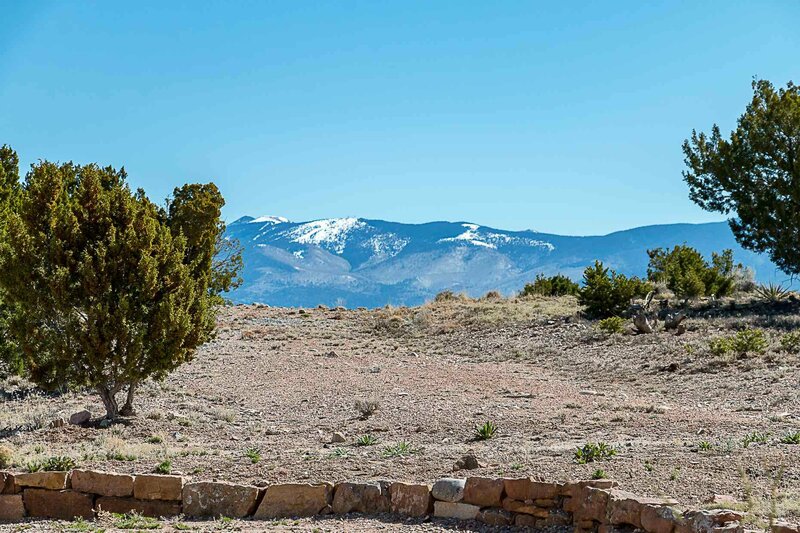 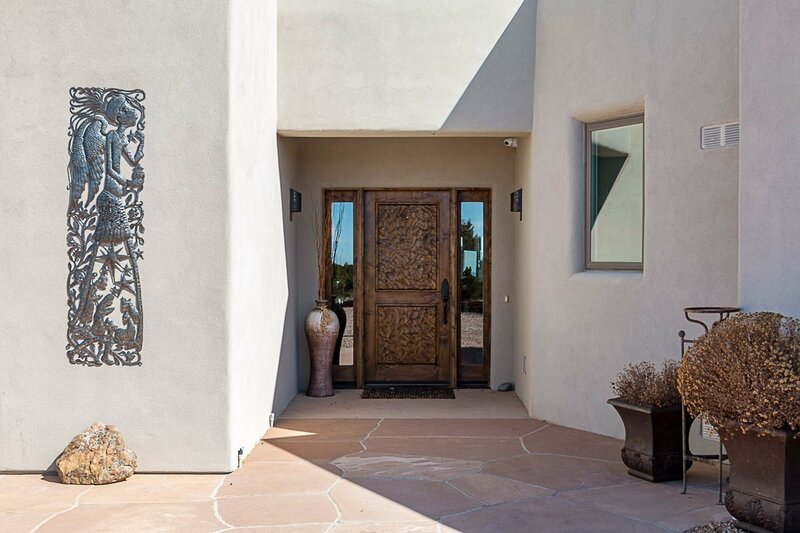 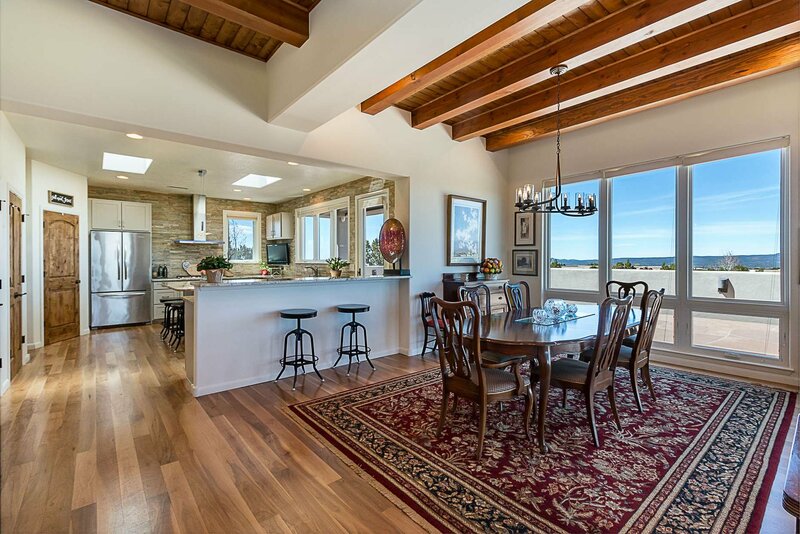 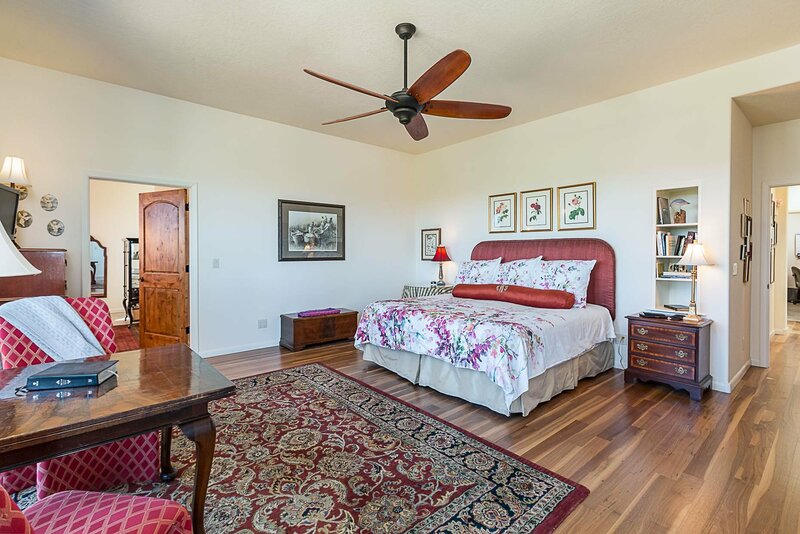 Located in the exclusive Las Campanas community, this elegant 3 bedroom 3 bath home has majestic views of the Jemez and Sangre de Cristos mountain ranges enjoyed from living and dining rooms, kitchen and master bedroom. 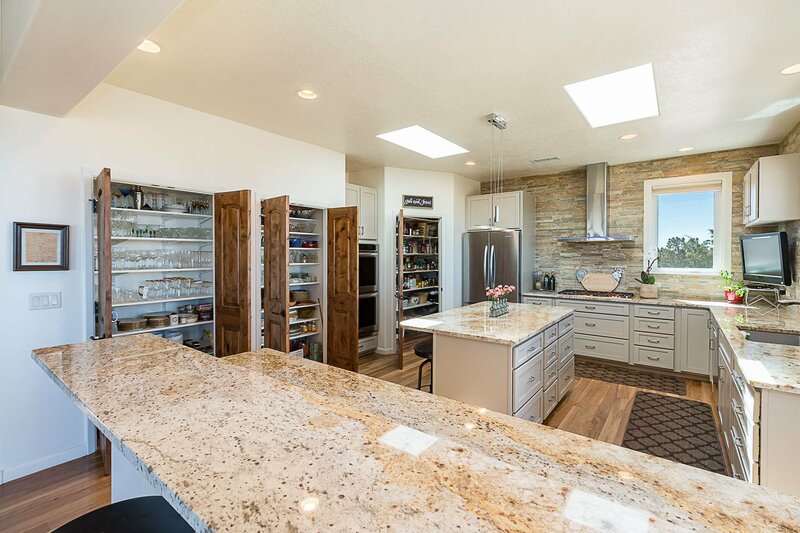 Plenty of tall windows and skylights throughout let in the natural light while back and side portals provide open and covered outdoor living spaces. 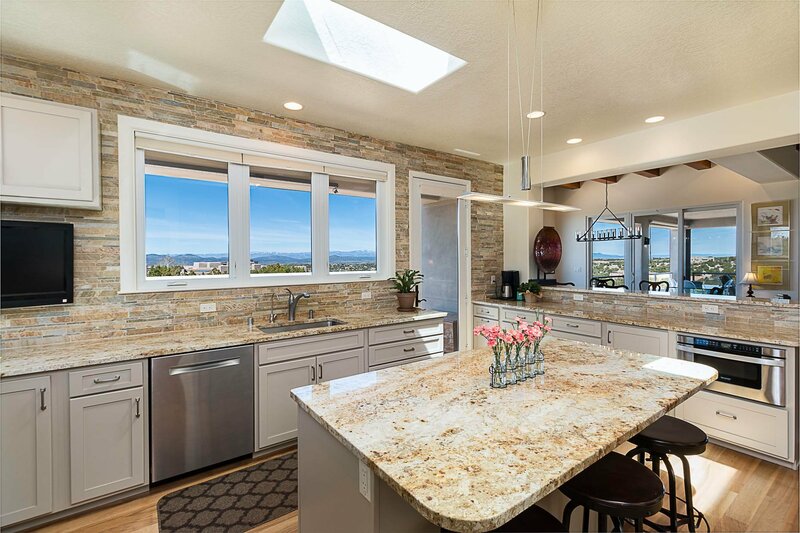 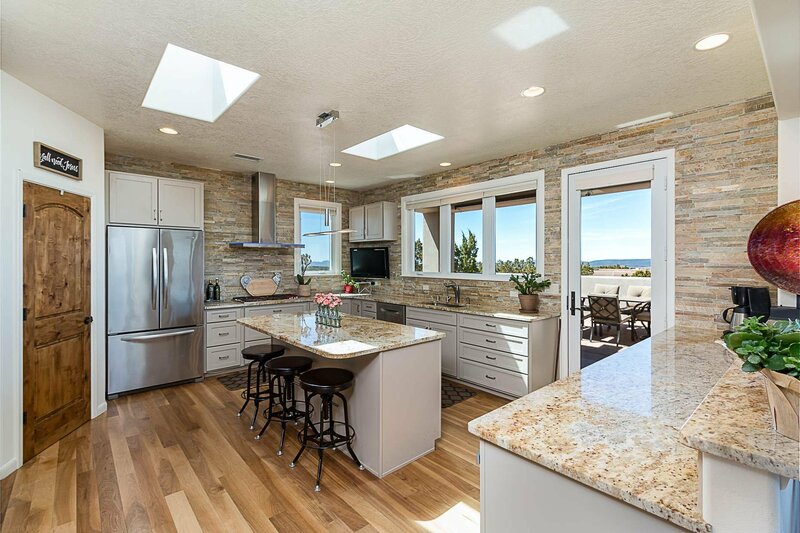 The spacious chef’s kitchen includes double ovens, thoughtful storage and pantry, a spacious island, upscale appliances, granite surfaces and wood floors. 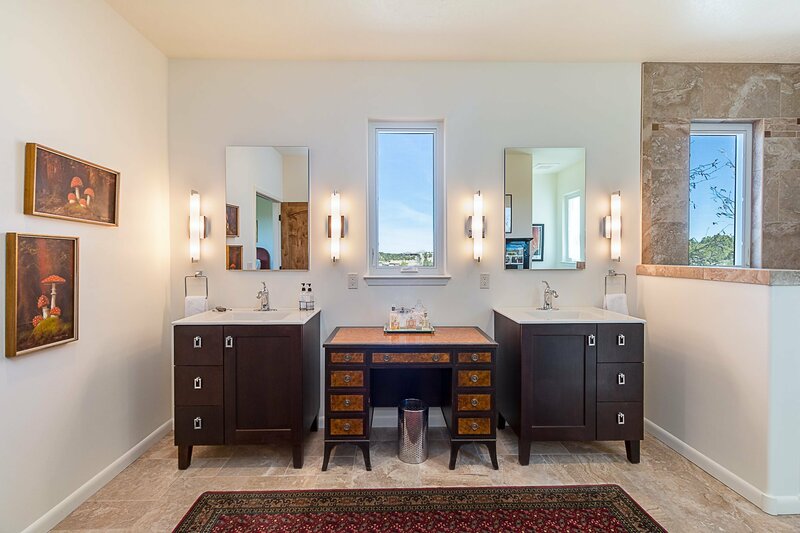 Designed for efficient flow and use of space, the custom floor plan provides 2 en-suite quest bedrooms and a spacious master suite opening onto the portal. 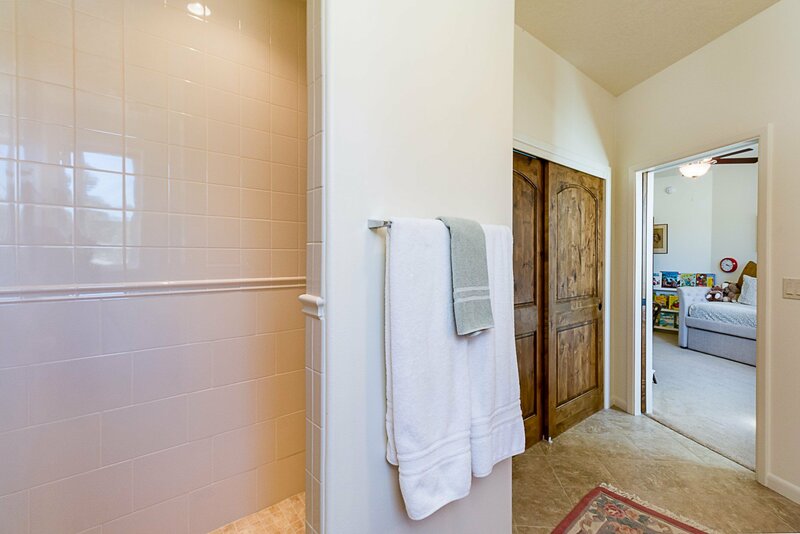 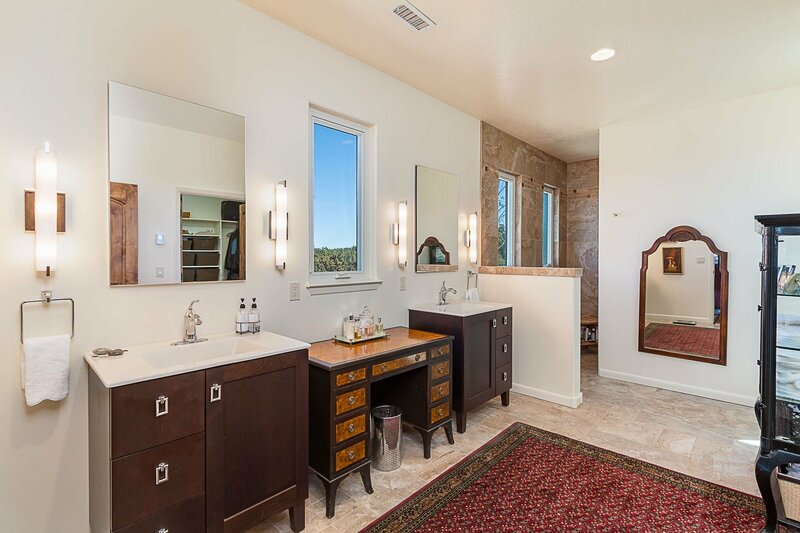 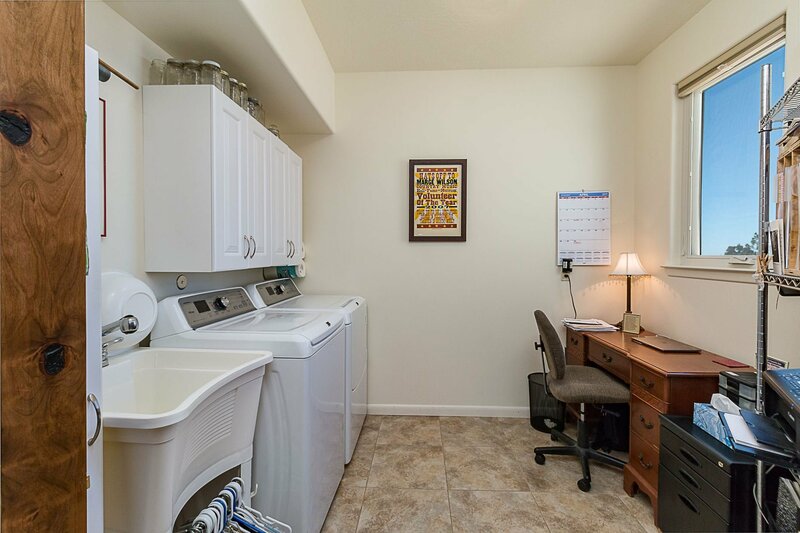 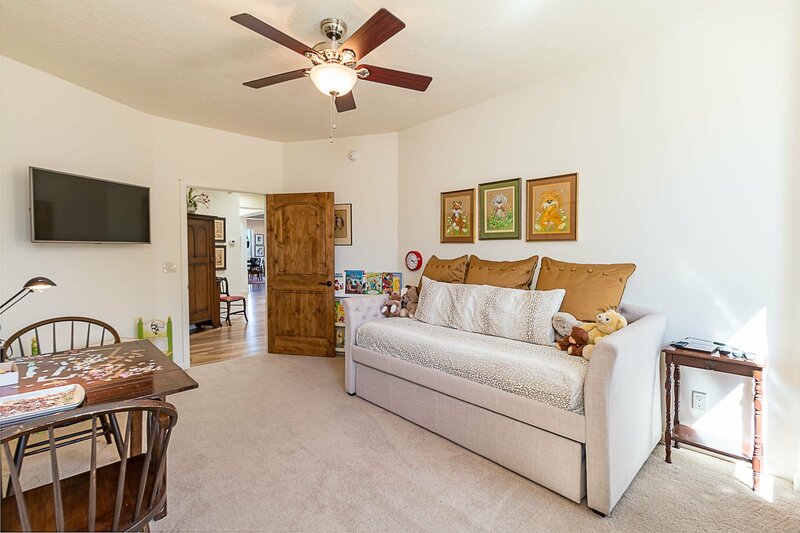 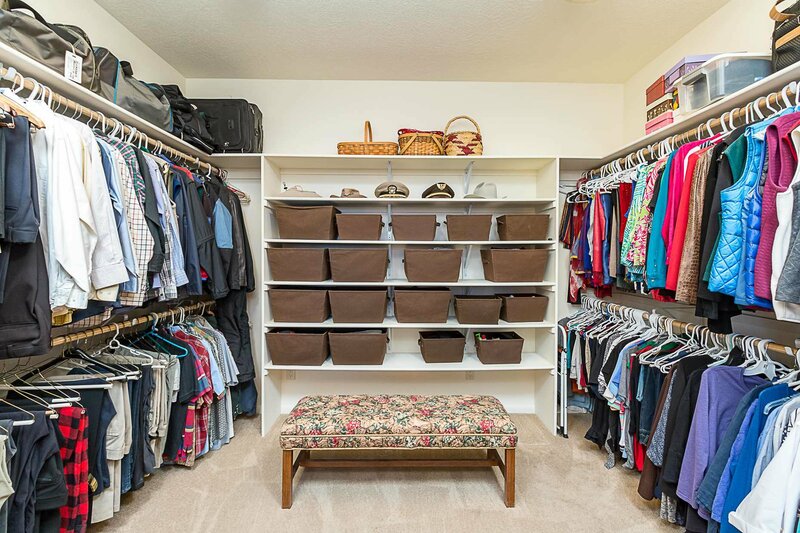 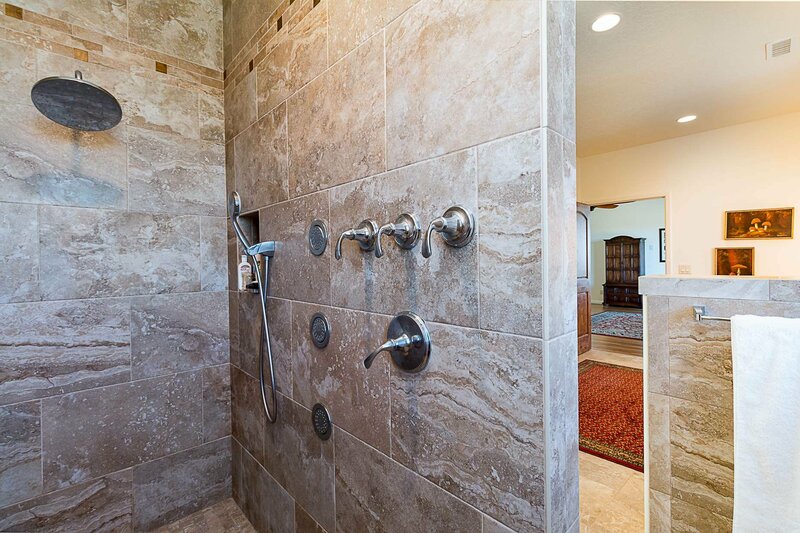 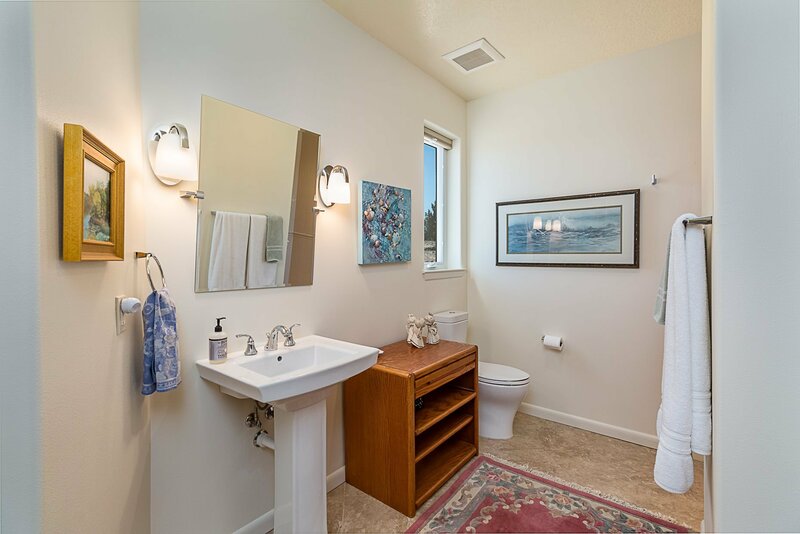 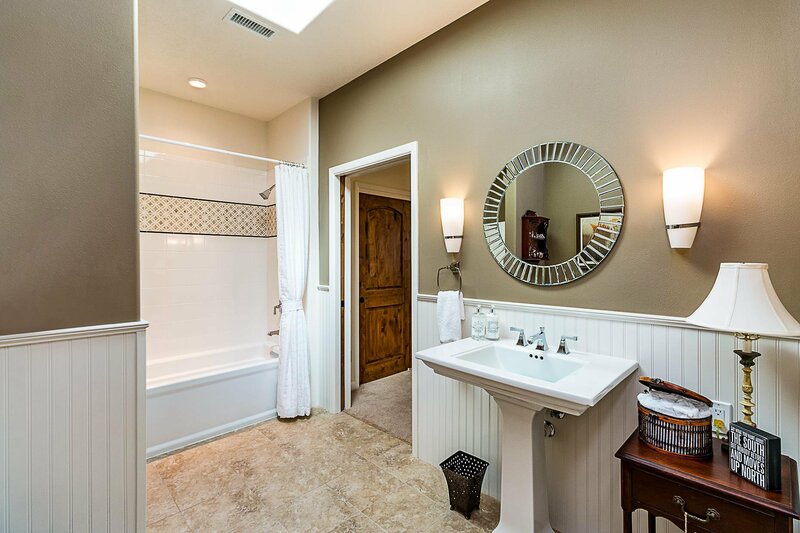 The master bath has a generous closet, a roomy walk-in shower and heated tile floors. 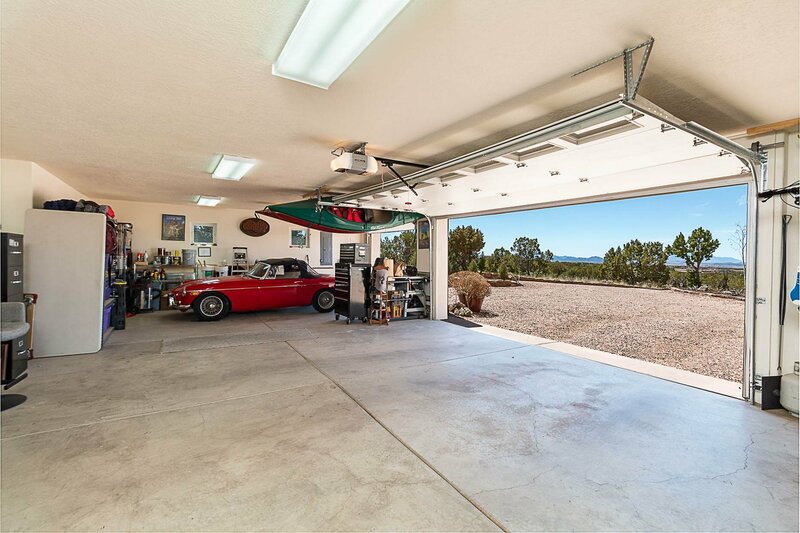 Extra features include a 3-car garage, 3400 gallon rain water harvesting and storage, refrigerated air, wood burning fireplace and 3 mounted TV's. 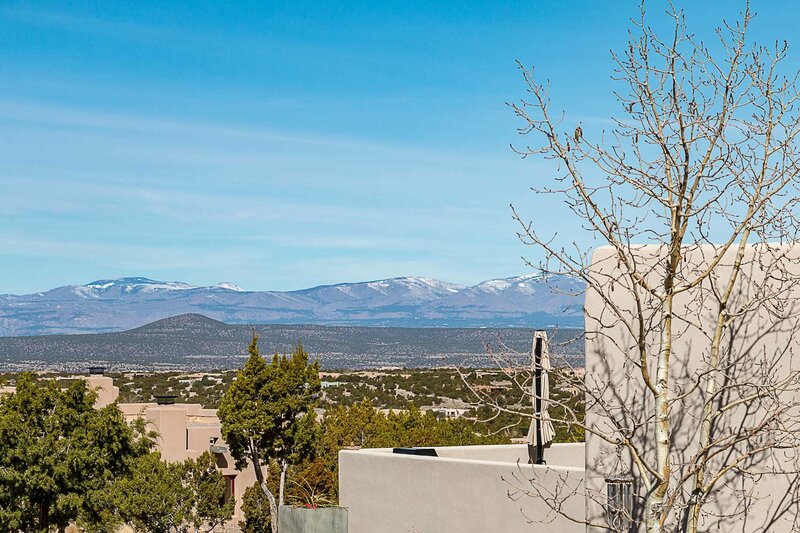 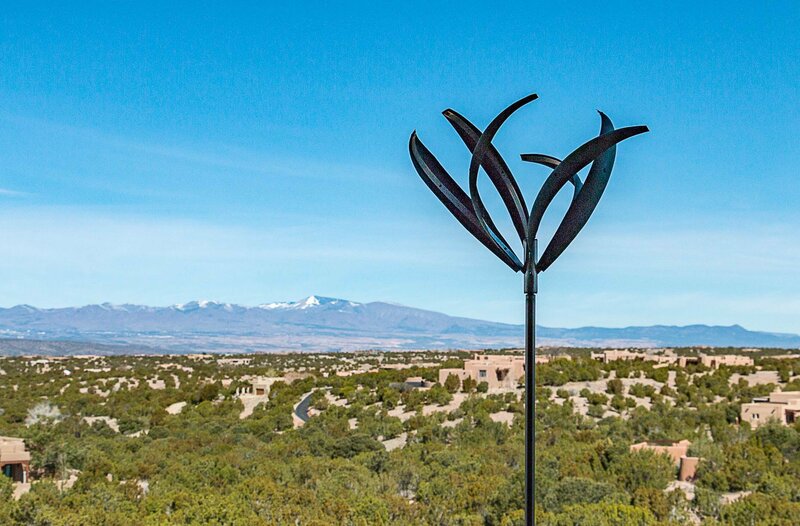 Conveniently located just minutes north of Santa Fe’s galleries, shops and restaurants.